I’ve been thinking up fun ways with veggies lately, you know, ways that make them more appealing to kids who don’t like them. 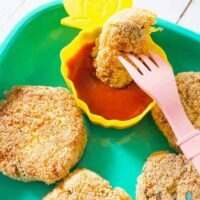 My kids love veggies, so I don’t normally struggle with it, but I know lots of kids who don’t! So this is for all of them! 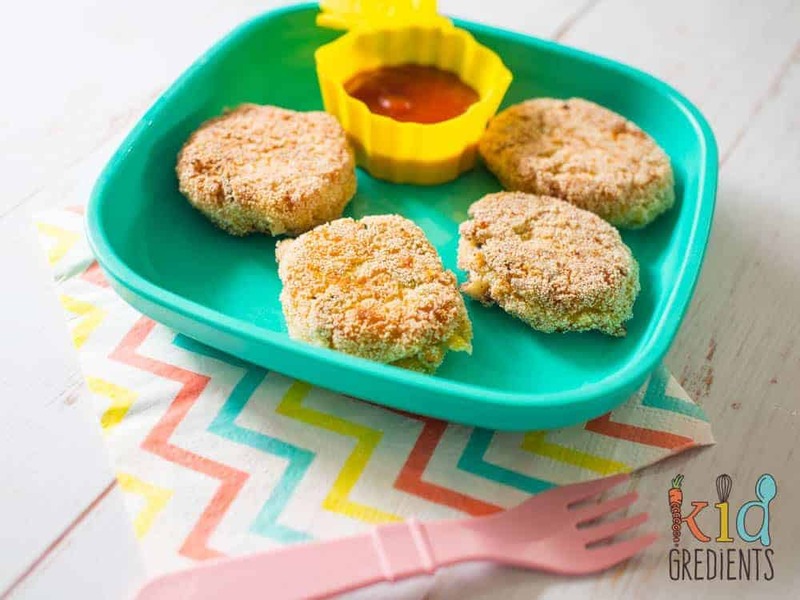 These veggie nuggets with their crunchy and yummy exterior are perfect for getting extra veggies into your kiddies! Do they look just like normal nuggets? So…why bother hiding veggies like this? 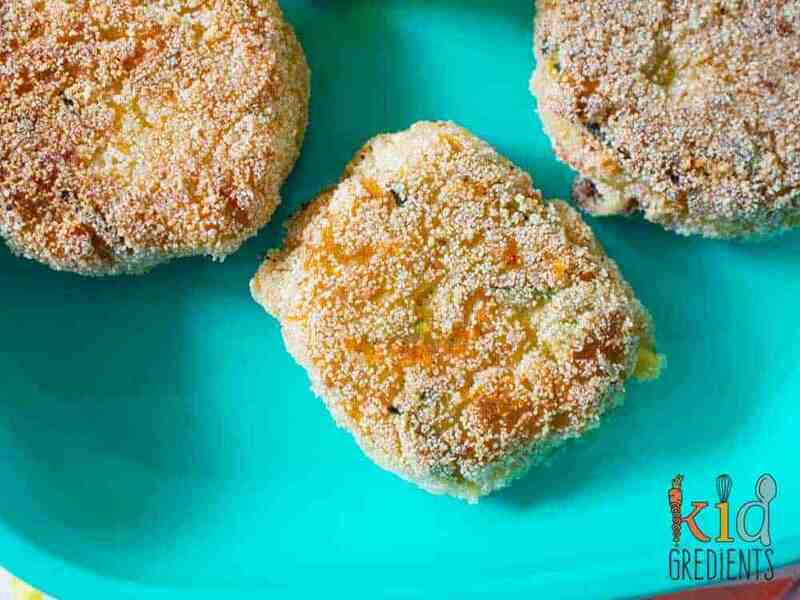 Actually, I’m not really a veggie smuggler, so the idea behind these isn’t so much to hide the veggies, but more so to make something entirely veggie that has a familiar shape and texture that could go as a dinner side. My kids eat them with servings of veggies and also a serve of protein. Now I’ve crumbed these with semolina and the main reason for that is, they work better with a finer crumb. As there is no breading involved, the crumb on the outside needs to be of a fine texture to stick to the sticky veggie mix. Now, I chose the veggies I put in these nuggets solely for…the fact that they were in the fridge. The red lentils are so essential to this recipe as you cook them completely until almost soft and they for the basis for the whole thing working, but the zucchini and carrot? Totally dispensable. Likewise the leeks. Swap them out for onions or spring onions. 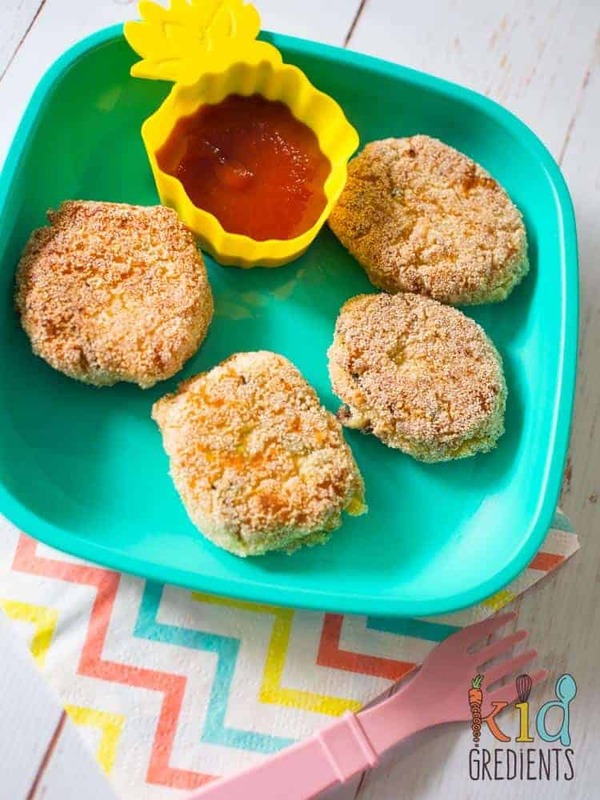 They are also freezer friendly and entirely yummy in the lunchbox cold. If you want to reheat them from frozen, just pop them in the oven to make sure they don’t lose any crunch! Add the olive oil to a medium frypan over medium heat. Add the lentils and water and cook for 20 minutes. Add the grated zucchini and carrot and oregano. Cook 5 minutes more and allow to cool for 5 minutes. Add the egg, cheese and flour to the mixture, mixing with a wooden spoon until well combined. 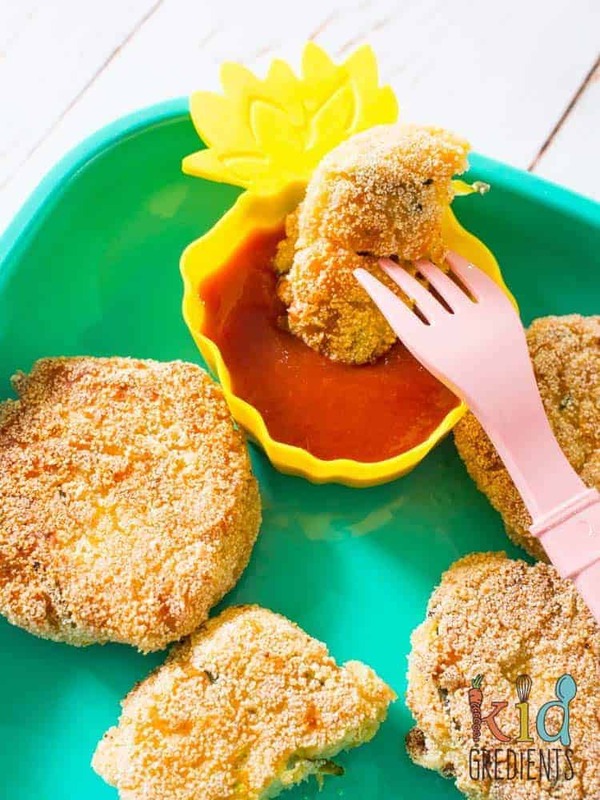 Create tablespoon sized nuggets and dip them in the semolina to coat. Fry in olive oil for 4 minutes per side or until golden. Such an healthy recipe, thanks for sharing it. 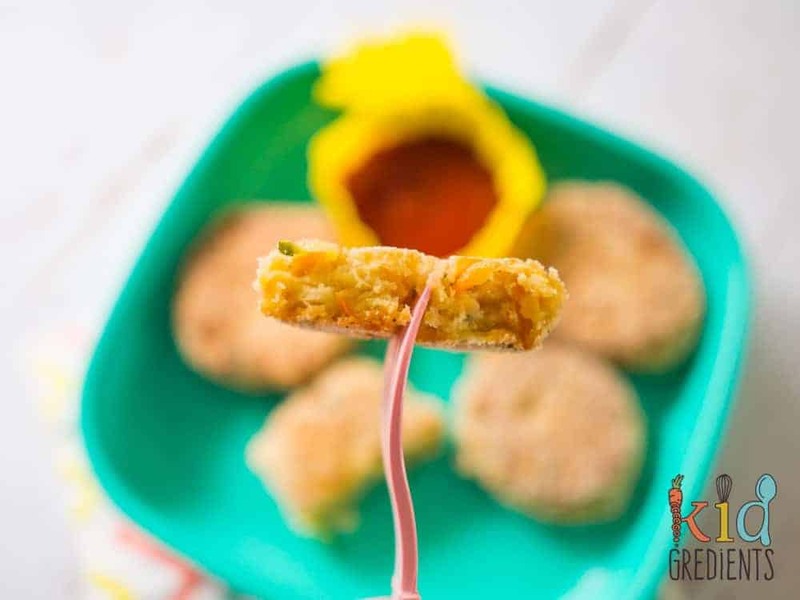 It’s a great way to the kids to get all the nutrition’s from the veggies. Keep posting! !